Chelan winemaker Shane Collins grew up on an apple farm that eventually failed. He’s back home, making great wine for Rocky Pond Winery. SHANE COLLINS was in a perfect position to see the apple industry failing in the Lake Chelan region, having grown up on a 50-acre apple orchard in Manson, a village on the north shore of the lake. His folks grew Red and Golden Delicious, planted by his grandfather. The farm went bankrupt a decade ago, and is now converted to vacation homes. His family never considered switching to wine grapes, though there was talk about the rising interest in grapes when Collins was in high school. His parents grew some Concord grapes they sold as juice to Welch’s in the Yakima Valley town of Grandview. They looked at converting to soft fruits, but that didn’t happen fast enough, as the Washington apple industry crumbled around them. After high school, Collins headed to Pullman, earning a degree in broadcasting at Washington State University. After college, an interest in wine led him to Walla Walla, where he earned a degree in winemaking at Walla Walla Community College. He landed at Spring Valley Vineyard, a premium winery owned by Ste. Michelle Wine Estates, an experience that solidified his interest in making great red wines. These three wines have Shane Collins’ fingerprints on them, either from his last vintage at Tsillan Cellars, or wines he finished after arriving at Rocky Pond Winery in Chelan. Rocky Pond Winery 2016 Double D Vineyard Malbec, Columbia Valley, $42: This spectacular property on the south shore of Lake Chelan continues to produce one spectacular wine after another, and this bold red from estate grapes is youthful and loaded with flavors. It opens with aromas of blueberry, rose petals and black pepper, followed by flavors of elderberry, blackberry cobbler and ripe plum, all backed by lively tannins and bright acidity. Rocky Pond Winery 2016 Stratastone, Columbia Valley, $35: This GSM-style blend is a great example of Southern Rhone Valley-style reds coming from Washington, revealing aromas of black currants, juicy plum and blackberry jam, followed by rich, deep flavors of ripe dark fruit, backed by austere, balanced tannins. Tsillan Cellars 2015 Estate Reserve Syrah, Lake Chelan, $36: This is everything you could wish for in a big, full-bodied Washington syrah, opening with aromas of espresso, mocha and chai spices, followed by full flavors of ripe dark plum, cherries and dark chocolate. In 2007, he moved back home, working at Tsillan Cellars, one of the larger wineries and a grand destination in Chelan. He moved into the head winemaker position there, stretching over a decade. Last August, he left Tsillan to take over winemaking at highly regarded Rocky Pond Winery. 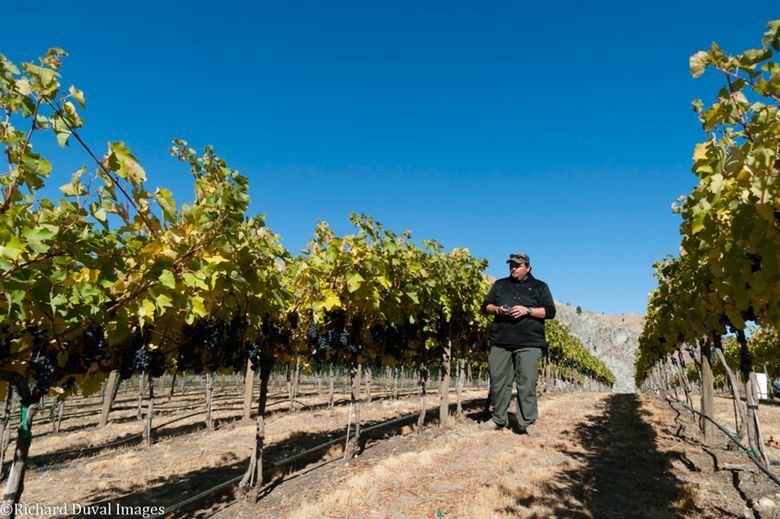 At 38, Collins has been crafting some of Chelan’s best wines for more than a decade, making him one of the rising stars in one of Washington’s emerging and most interesting wine regions.